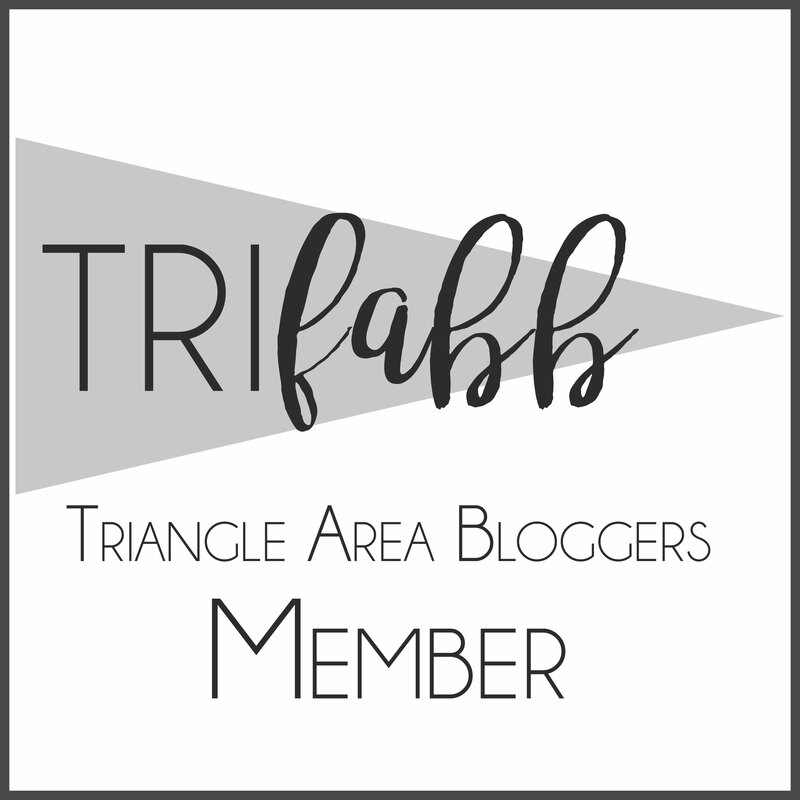 Last month, I did my first juicy tidbits post, and I thought it was fun. It’s a good way for me to share fun snippets of information with you. Those of you who follow me on Instagram know that I eat lunch out quite frequently. It seems like I’ve been searching for the perfect Cobb Salad, or perhaps you may think that is all I eat at lunch based on my photos. 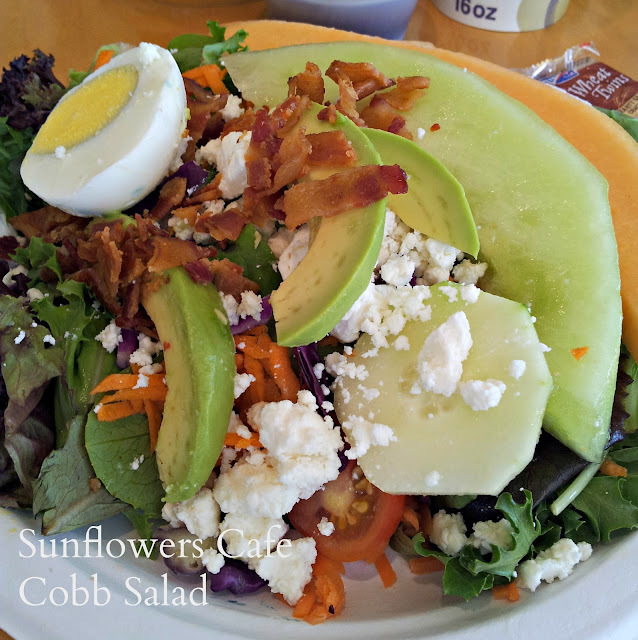 The Cobb Salad at Sunflowers Cafe in Raleigh, N.C. 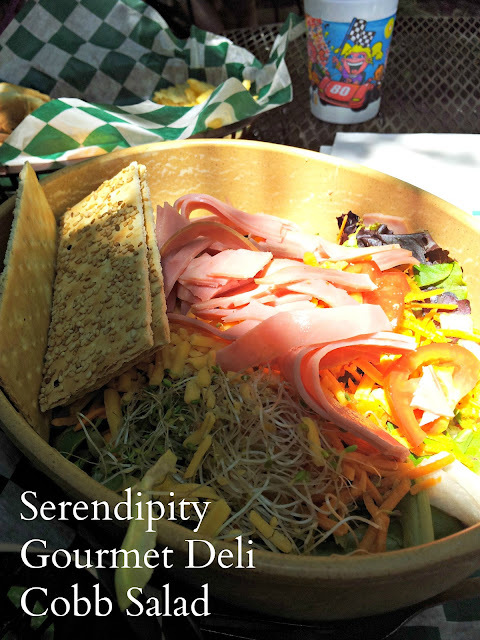 The Cobb Salad at Serendipity Gourmet Deli in Cary, N.C.
Well, I’ve not found the perfect Cobb Salad yet for me, but I have found the perfect Cobb Salad roll-up. 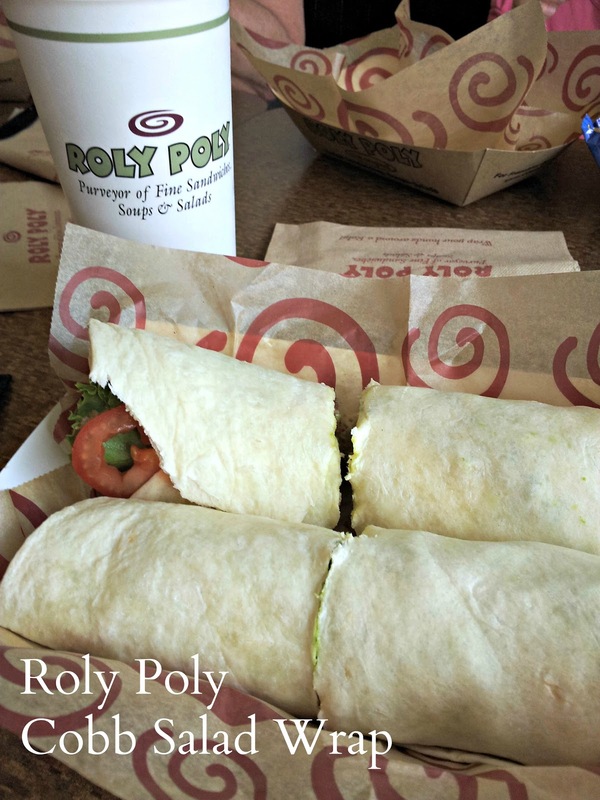 It’s at Roly-Poly. It’s my favorite roll-up, and I think I could eat this roll-up daily. I crave it. There is a Roly-Poly within five minutes of my house, and you can find me there quite often. You must know I love it because it’s located in the same parking lot where I did $2,000 in damage to my car bumper last month. I keep going back. Yes, they know my family by name, but they have no idea that I’m a blogger who is now professing my love for the roll-up. I almost thought about getting a Cobb Salad at Fleming’sSteakhouse when Will and I went out with our good friends to celebrate her birthday. I just didn’t want to pay $27 for it, but Will later joked that it probably would have been the best Cobb Salad that I’ve ever eaten. That’s true, but it is still a salad. I just can’t grasp that price for one salad. Instead, I ordered a filet-risotto small-plate and a salad for the same price as the Cobb salad, plus I enjoyed three margarita specials, too. 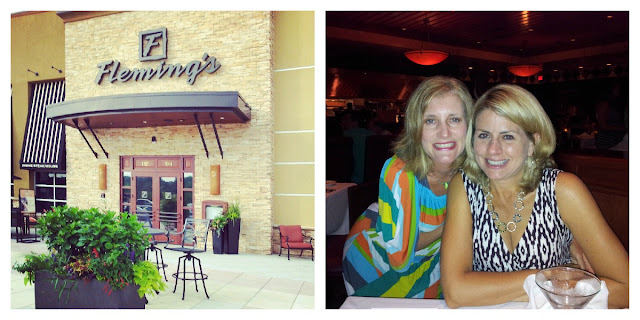 I am a fan of Fleming’s and think it is one of the better high-end steakhouses in the Triangle. 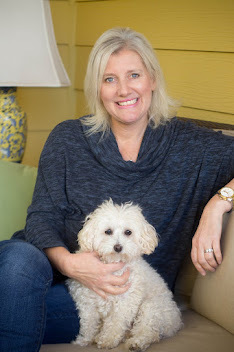 Even though Fleming’s is a national chain, it’s locally owned and operated, and the owners have a stake in the community. You know I like to support local business. 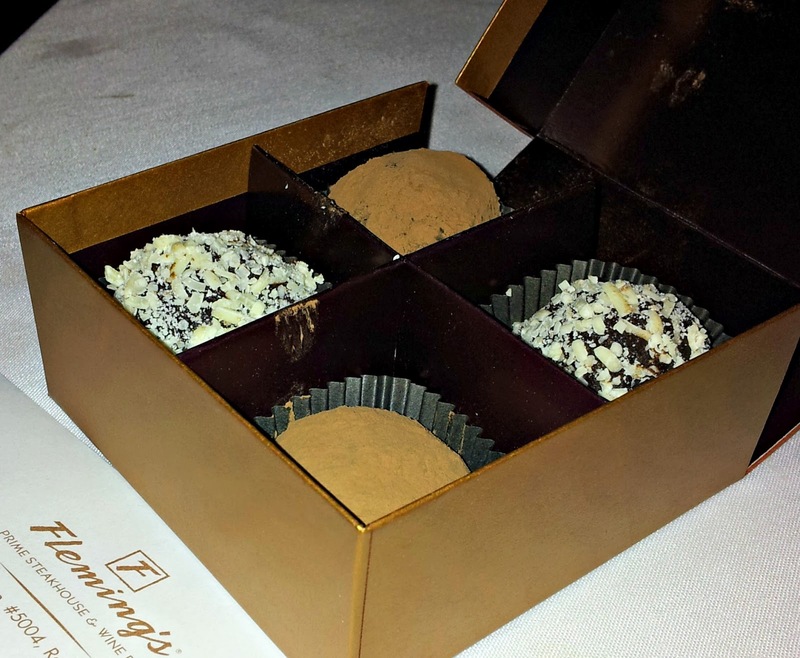 It was also nice that they gave my friend a gift certificate for a return visit and some truffles. Nice touch! 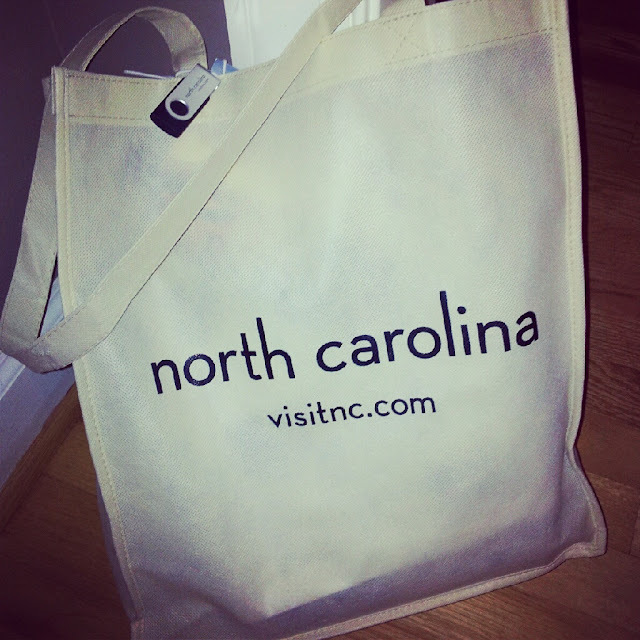 I attended a tourism event for North Carolina this week. It was great to learn so much more about my home state. I knew I was in love with my state before Tuesday, and now I know I love it even more. I cannot wait to travel more for this blog. North Carolina has so much to offer its guests. Some readers have joked and said that I’m the state’s newest ambassador. I’ve always wanted to be an ambassador, so who will make me a a tiara and sash that says so? 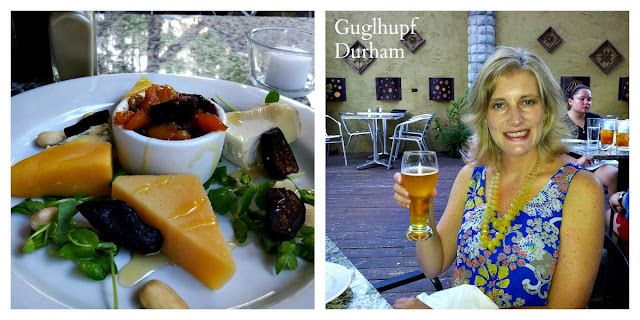 On Skimbaco this week, I talked a little more about my staycation in Durham and how to treat every local destination as if you are on vacation. While there, we dined at Guglhupf. Loved it. The cheese dish with figs was phenomenal, and I really like German beer. I felt as if I had been transported to Munich again. I recommend the restaurant highly. As much as I love North Carolina, I have decided to venture to another state this month for one last vacation before school starts. We’re packing our bags and are heading to Virginia. 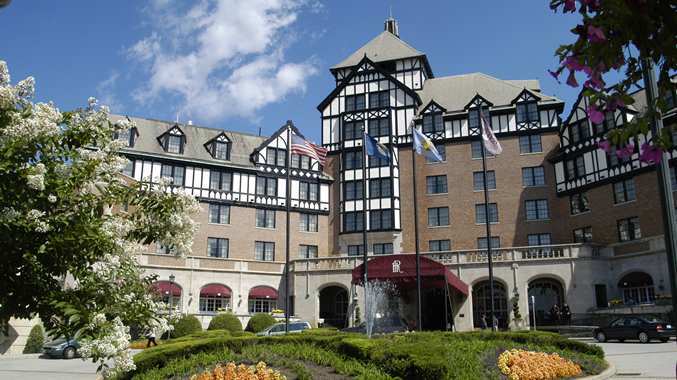 We’ll be staying at the historic Hotel Roanoke and Conference Center. As soon as I saw this grand, Tudor-style, former railroad hotel, I knew this is where I had to stay while in the area. Did you know I am a sucker for Tudor-style architecture? It’s my favorite. 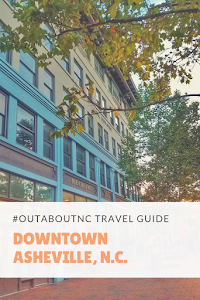 We’ll be checking out some of the sights in the Blue Ridge Mountains and Roanoke Valley. And then we’ll be checking into this genteel beauty for a couple of days for a family resort vacation. 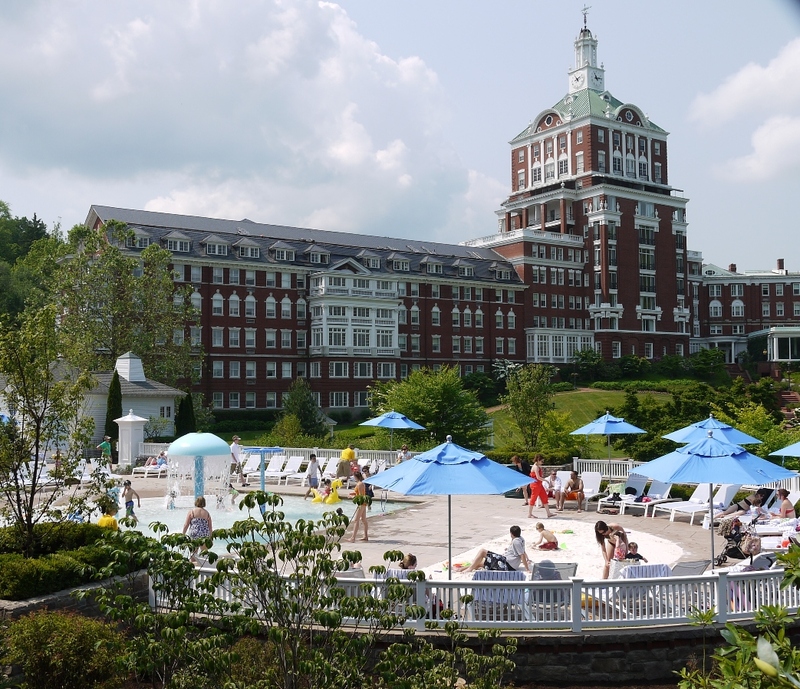 Our destination is The Homestead, a luxury resort and spa in Hot Springs, Virginia. Thomas Jefferson walked these grounds, and the Hines will, too. Be sure to follow me on Instagram, Facebook, and Twitter for some sneak peeks of these resorts, as well as scenes from the beautiful Allegheny Mountains.